See our latest gallery of photos from the Ultimo project. Multi award-winner, Sterland Roofing & Cladding, was nominated to manufacture and install a specially designed zinc cladding system throughout the development. See our latest article about how we created zinc cladding for 332 apartments. When you choose Sterland, you can depend on our wealth of experience in wall cladding solutions for both residential and commercial applications. Whatever your project, we ensure a variety of material combinations will blend together harmoniously, both from a design and a construction perspective. Your project is important to us. Our skilled team will take account of every detail of your requirements to ensure you get the result you expect in roofing and wall cladding. Contact us today to find out how Sterland Roofing & Cladding can help you. Our tight quality control and professional team ensure we get your job done right – and importantly, with timely delivery over and above your expectations. Need inspiration? Browse our unique gallery of top-end homes and projects. To sample what our team can create. You won’t find a more capable team in the roofing and wall cladding industry. We get the job done right and on time. And we’re especially proud of our unmatched quality and customer service. Browse our unique gallery of architectural homes and projects for inspiration and sampling of what our team is capable of. A wall cladding system in copper, zinc, aluminium & Colorbond. Clip system install to maximise thermal movement. A traditional European roofing system. Panels are hand seamed. 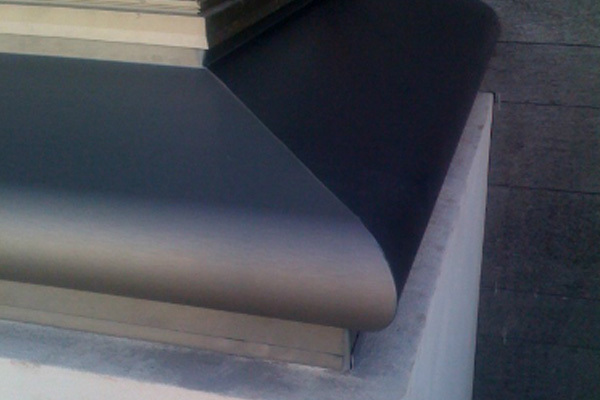 Specialist installers of the very best metal roofing materials. We install all Colorbond products, in a wide range. We install and manufacture rain water & custom products. Thank you for visiting Sterland Roofing & Cladding online. We are sure you will find what you are looking for throughout our site. If it is inspiration you are looking for, be sure to visit our gallery of fine architectural homes. We would be glad to help with professional advice on your specific project. Do contact us by phone, email or online. We look forward to hearing from you. A ‘gold standard’ in quality roofing and wall cladding. Our spectrum of services includes: new constructions, alterations and additions in a wide range of metal products – including copper, zinc, stainless steel and Colorbond. We even have tiling specialists to add the finishing touches to your project. Our team has a high level of skill in making many combinations of materials work together, both in terms of compatibility and design. When you choose Sterland, you are choosing the specialist leader. We provide the highest standards of workmanship in copper and zinc roofing/walling, plus rainwater goods and leading-edge Colorbond roofing. Sterland Roofing & Cladding is not only a specialist leader in great roofing and wall cladding. You can also rely on our quality in the design and manufacture a vast range of custom-made copper, zinc, stainless steel and Colorbond products. These can range from rainwater goods to designer feature walls. Browse our custom works or get in touch with a team member for more information on what Sterland Roofing & Cladding can do for you.